Michael quickly picked up the pace close to becoming a category 3 Hurricane, roaring towards the Gulf Coast and especially the Emerald Coast of Florida, having locals in preparation for oncoming destruction. The symmetric storm of Hurricane Michael is being anticipated as a “healthy” storm, meteorologists say. One that could pick up enormous strength before hitting the window of Destin, Florida and reaching as far into Tallahassee, as a catastrophic landfall looms. This reporter is located along the Gulf Coast, having ventured into Tallahassee at the Florida State University Campus frequently. I've seen the horrors of what a hurricane can do, and locals are severely worried about Michael. The community of Destin labeled one of America's most beautiful beaches, and a world renown fishing town could be left in shambles as a result. The amusing part of Florida's destructive weather tells us that rebuilding is a way of life for Floridians, but the wind speeds of Michael are worrying many that the recovery may be brutal. 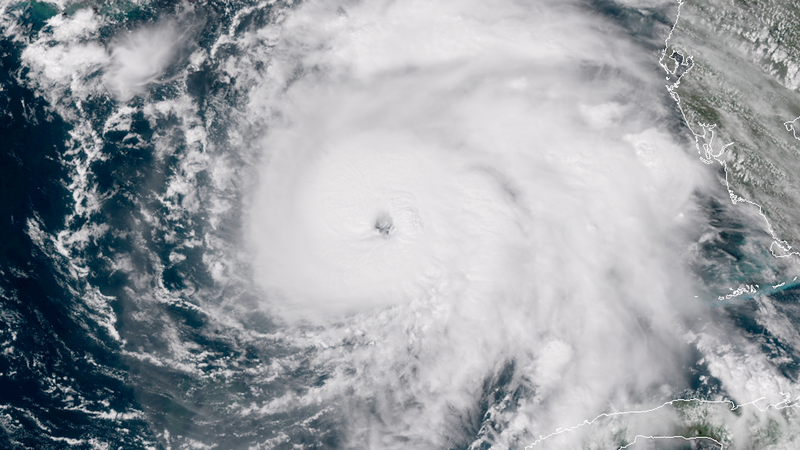 The sheer size of Hurricane Michael is terrifying, and the power of its wind gusts could be easily above 100 mph winds. The Weather Channel warns that damage could be substantial, and many areas already brutalized just last year<a href="https://thegoldwater.com/news/37282-Hurricane-Florence-17-Dead-In-Historic-And-Unprecedented-Flooding-Video"> by Hurricane Florence's unprecedented death toll </a>are expecting Michael to rock their communities. Storm surges are expected to be anywhere from 6-to-8-feet, billowing high above the sand dunes as rhythmic waves continue on their journey to the streets of American civilization. Today, the gloom factor in the Gulf Coast from Panama City, into the Big Bend and down into Tampa are all vulnerable to the Hurricane, and ahead of the storm, the water levels are already picking up. Pressure gradient winds across the US coast and the difference between pressures have already caused storm surges, and water rises as far west as Alabama and Mississippi now. “Heavy rain along the rivers will play together to create a devastating scenario,” The Weather Channel said. Some expect Hurricane Michael's winds to hit 125 mph or greater, with peak winds, had reached 110 mph as of 2 PM on Tuesday, just one mph shy of the Category 3 mark with a lot of strength churning in the ocean, according to the National Hurricane Center. To those within reach of the storm alongside myself, stay safe and heed warnings. Be prepared by stockpiling water, necessities, and backup food if possible. We expect the worst along one of the world's most beautiful regions, but we also stand firm against the coming storm because of this anticipation. For the record Trump did not cause this Hurricane. Liberals did with all their crying, whining and screaming. i caused this hurricane because i recently drove my antique polluting truck 400 miles through Florida. sorry… but i'm driving it tomorrow too and the next day and…..